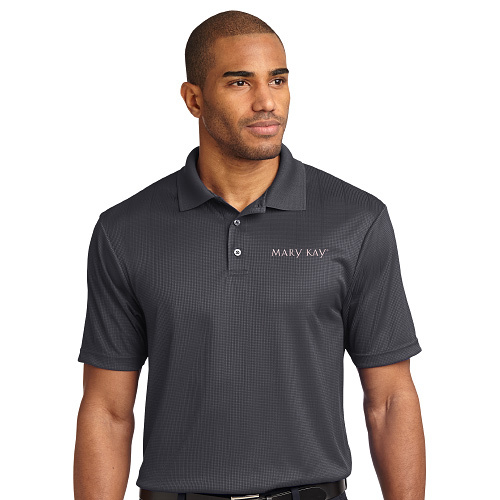 This Mary Kay men's polo shirt is stylish, comfortable, lightweight, and breathable. The shirt features a subtle jacquard texture with the Mary Kay logo embroidered in light pink. Designed with moisture-wicking performance to help keep him cool and dry.